The Sony α7 III wins Product of the Year and also Best Midrange ILC in the 2018 DPReview’s Gear Of The Year Awards. 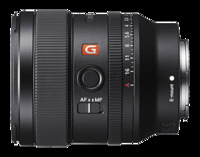 Sony also received awards for Best Prime Lens and Best Compact/Fixed Lens Camera. The Sony α7 III has dominated DPReview’s Gear Of The Year Awards – taking home the top honor of Product of the Year and also Best Midrange ILC. That’s not the only product putting Sony into a leadership position for the annual awards. They also bring home the awards for Best Prime Lens and Best Compact/Fixed Lens Camera. "The α7 III won out thanks to its stabilized full-frame sensor, powerful autofocus system and excellent 4K video features. For anyone looking for a 'do it all' camera without spending a lot more money, the α7 III is hard to beat. For these reasons, it takes the top spot in this years' DPReview award for best midrange ILC." "The RX100 VI doesn't replace the older RX100 V/A, but it does fill a gap in the established RX100-series lineup for a true 'travel zoom' camera, offering advanced video and stills features in a compact package, with a versatile zoom lens. Photographers have been asking Sony for a longer zoom in the RX100-series for a long time, and with the RX100 VI, Sony delivered, without compromising too much of what we love about the series as a whole. As such the Sony Cyber-shot RX100 VI takes our award for best compact / fixed-lens camera of 2018."